We have two Sunday meetings: 10.30am and 6pm. They are open for anyone to attend, and we'd love to welcome you. Our services are informal and joyful, we expect to meet with God and for Him to be at work among us. If you have any questions at any of our meetings, please speak to someone wearing a lanyard, they’re here to help you. 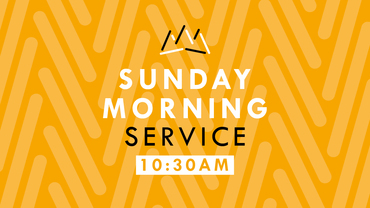 We start with a time of worshipping Jesus led by a band, followed by news of what's going on in the life of the church and then a talk based on the Bible. We have dedicated leaders who make Sunday mornings a good experience for children. Our activities cater for children aged from six months up to P7, and begin after the first worship song. There is a crèche, a pre-school, and a primary school group. Parents with very young children can take their babies into the foyer, or the Library downstairs where there is a live TV feed of the meeting. Young people in school years S1 to S6 have their own activities, starting at around 11.15am. During the service we take up an offering for the work we do; feel free to give if you wish but there’s no obligation. Our meeting finishes at midday but that's not the end! Fresh coffee, tea, and other refreshments are served, and there's time and space to socialise, meet new people, ask questions, or receive prayer. We put on a DVD for the children to watch, to give parents a chance to chat. Every week there is a team of people ready to pray with anyone who asks. Whether you need healing, God's help in your life, or want to respond to what He has done and said in the meeting, they'd love to pray for you. If you’re a student, there’s a free lunch for you every Sunday in term time.